ohmygosh he is helping the little owl cross the stream in the first one! This is like a Disney movie. I really want to know the story behind these photos, like are they someone’s pets? Are they wild? Are they best friends that stare deep into each other’s soulful eyes?! I’ve got to know!! 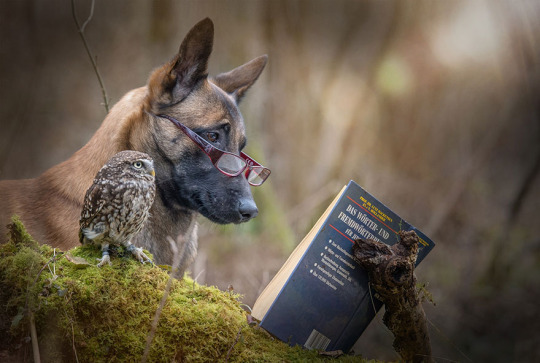 Apparently they are known as Ingo and Poldi. Poldi hatched several days after his clutchmates, and was picked on for being small. 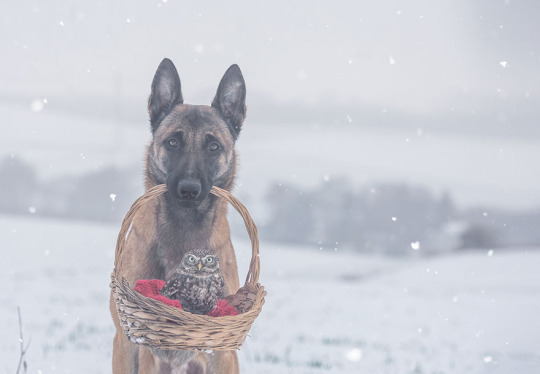 Ingo was from a family of police dogs, and ended up looking after the owlet. 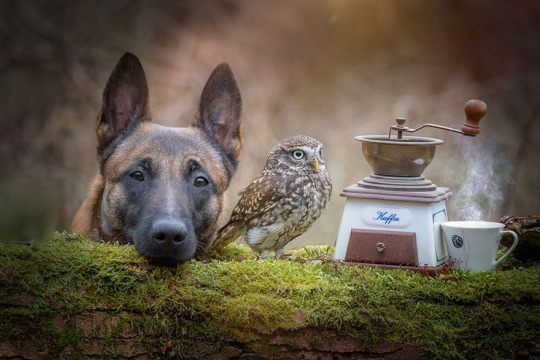 They are both pets of the photographer.